Sadly, it would appear that the trichomoniasis outbreak that has blighted Greenfinch populations throughout Britain for the previous few years may have reached my corner of London. On Saturday evening I noted a strange-acting male around my feeders who, in hindsight of a brief trichomoniasis education, showed all the typical symptoms of the parasite-related disease. It appeared lethargic and slightly disorientated after appearing to struggle with its food. Having stayed in the area long after normal feeding hours it disappeared. After a fruitless search of the streets below for any trace of a body I put it to the back of my mind. 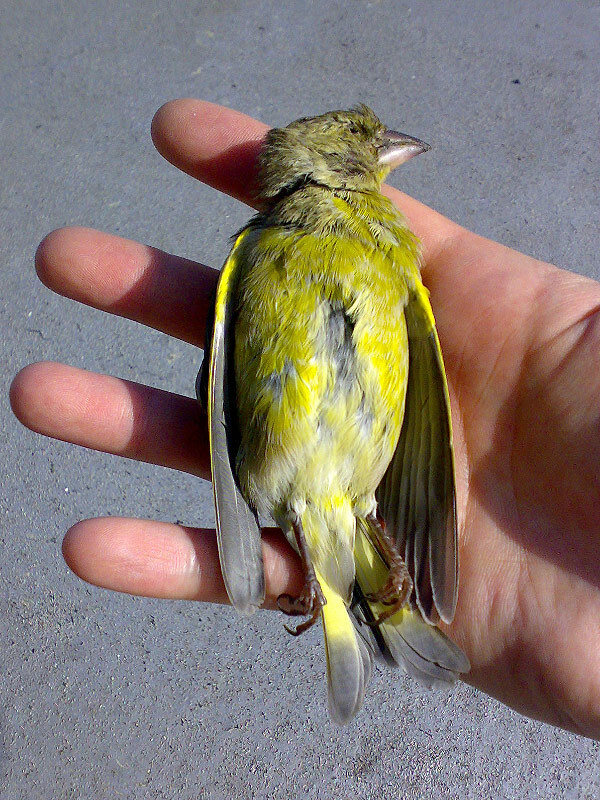 That is, until this morning, when I returned home from a brief trip away to find this dead, male Greenfinch lying close to the feeders. So, on advice, I'll be closing down my feeding area for a couple of weeks to discourage the congregation of any possibly infected birds with their unaffected counterparts. 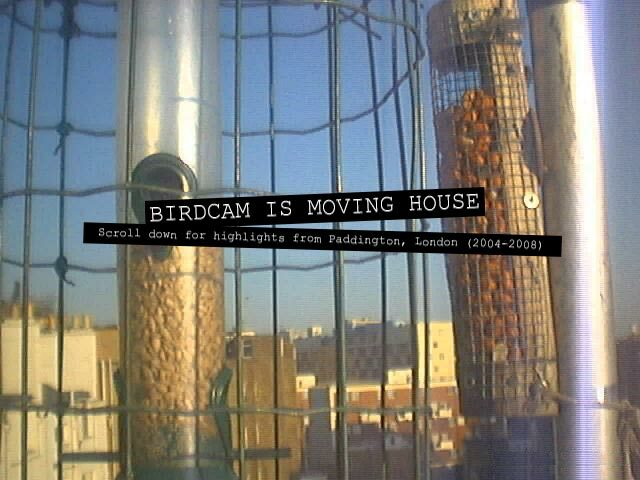 The hope is that when I fire up the webcam again next month I'll still have some visitors. The RSPB/GBHi have been informed and the body awaits inspection. NB: I take great pride and care in cleaning my feeders weekly.